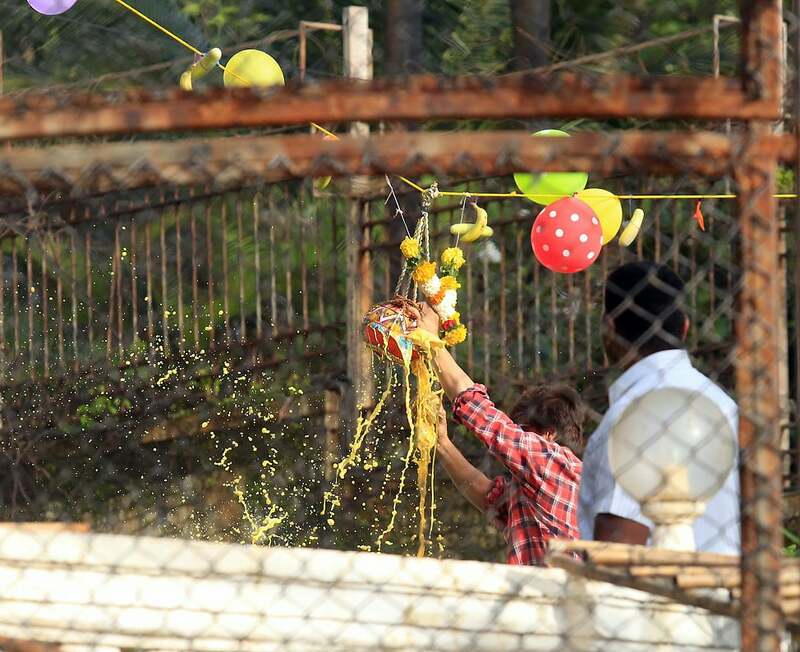 Bollywood Baadshah and the King of Romance, Shah Rukh Khan celebrated Dahi Handi with son AbRam at his residence in Bandra. 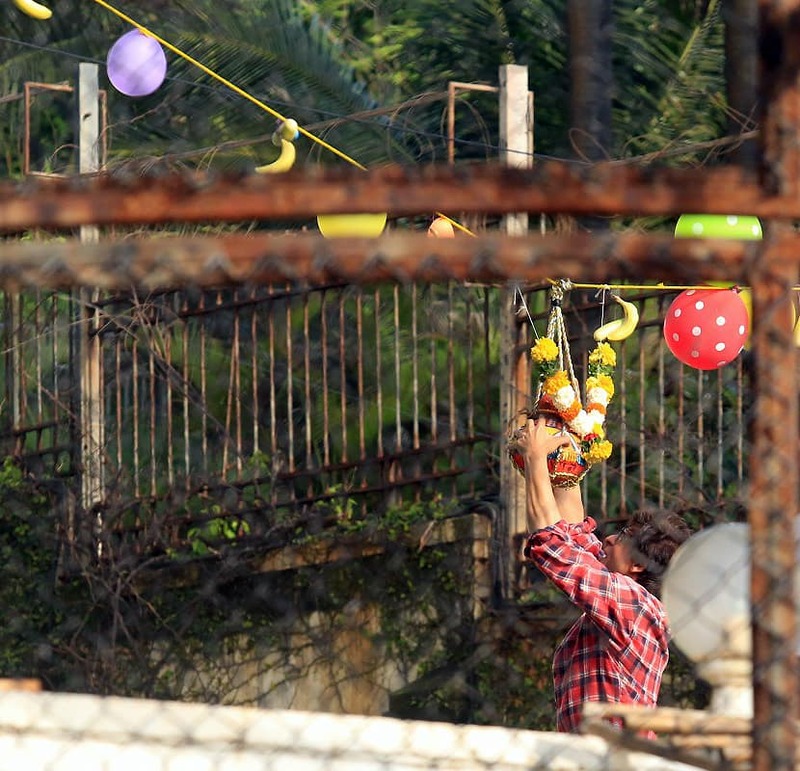 The 52-year-old superstar and AbRam were seen celebrating the festivities by breaking the Handi at the garden area with paparazzi monitoring their move from outside his residence 'Mannat'. Dahi Handi is a ritual performed on the occasion of Janmashtami in Maharashtra wherein an earthen pot full of curd is hung at a height. 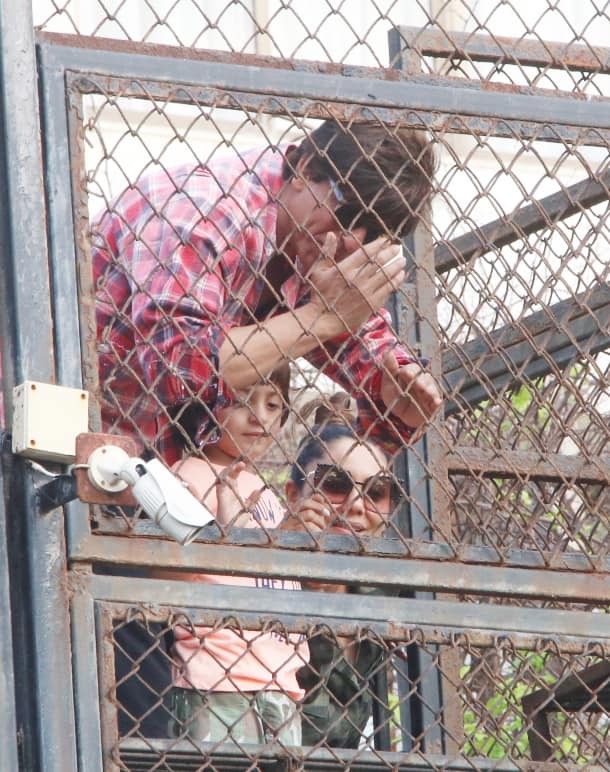 Meanwhile, Shah Rukh's wife Gauri Khan was also present who joined them for the celebration in the garden. 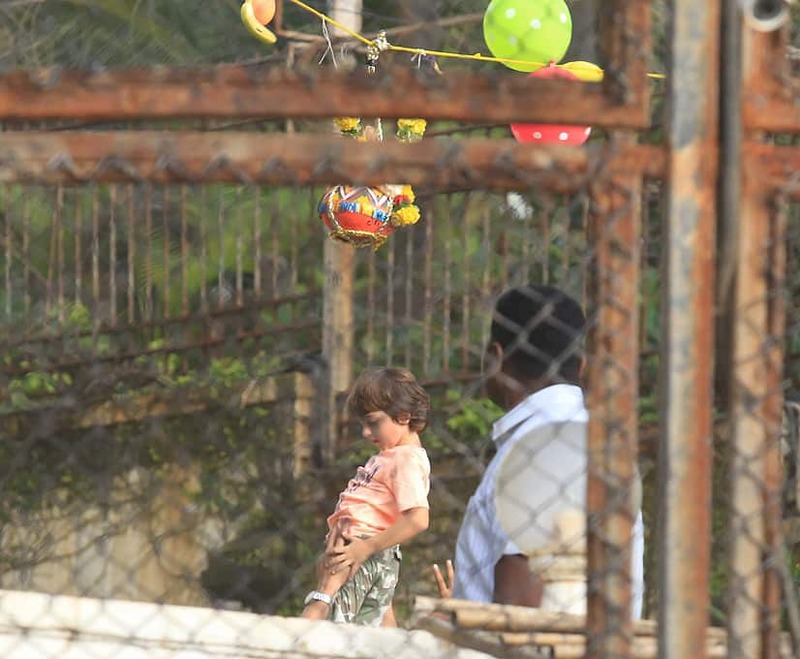 In one of the photos, AbRam is seen attempting to touch the Handi and he looks so adorable. 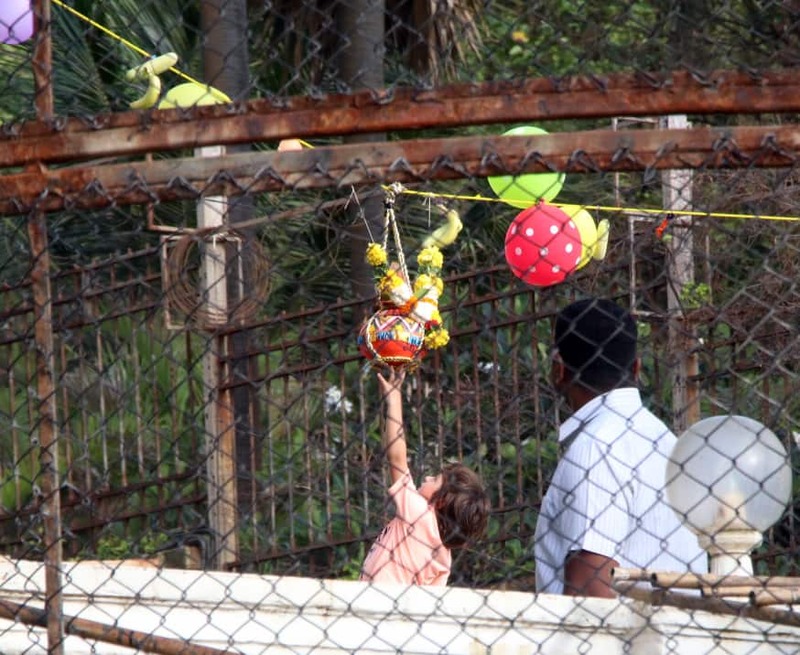 In another photo, he is seen wishing people on Janmashtami with folded hands.